At a high-profile, agenda-setting workshop on urban resilience held on February 8, 2017, Lagos State was admitted as one of the 100 Resilient Cities (100RC) in the world. 100 Resilient Cities, pioneered by the Rockefeller Foundation (100RC) is dedicated to helping cities around the world become more resilient to the physical, social, and economic challenges that are a growing part of the 21st century. 100RC supports the adoption and incorporation of a view of resilience that includes not just the shocks – such as earthquakes, floods, disease outbreaks, etc. – but also the stresses that weaken the fabric of a city on a day to day or cyclical basis. Examples of these stresses include high unemployment; an overtaxed or inefficient public transportation system; endemic violence; or chronic food and water shortages. By addressing both the shocks and the stresses, a city can better respond to adverse events and is more capable of delivering basic functions in both good times and bad, to all populations. 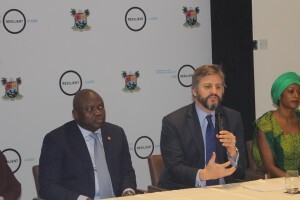 President of 100 RC, Mr Michael Berkowitz, disclosed that out of the over 1,000 applications received across three rounds of selection process, Lagos was chosen for its innovative leadership, infrastructural strides and influential status not just in Africa but in the world. Receiving the plaque of admittance on behalf of the state, Lagos State Governor, Akinwunmi Ambode stated that ‘this is a great honor, and a further affirmation that Lagos has become a reference point when it comes to initiating and executing pacesetting innovative and strategic policies and programmes that are meant to uplift the living standard of the people’. SPACES FOR CHANGE staff participated in the agenda-setting workshop which brought together a diverse group ofstakeholders including state officials, city and community leaders, service providers, businesses, and non-governmental organizations. 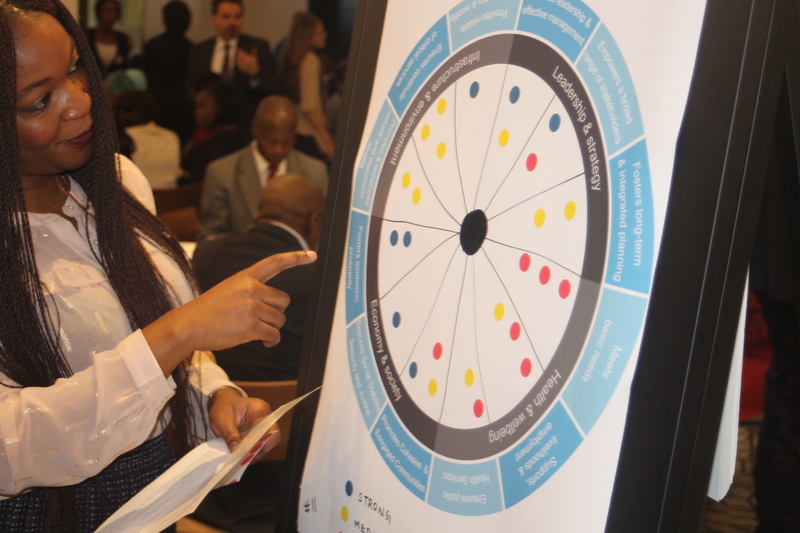 Through a range of facilitated exercises and group discussions, workshop participants learned about the concept of Urban Resilience and began the process of identifying and discussing the city’s resilience-building priorities. During this session, SPACES FOR CHANGE discussed how the inequalities in the distribution of urban infrastructure as well as the exclusion of the city’s most vulnerable populations–such as slumdwellers–in urban decision-making produces the sort of stress that need to be addressed. An estimated population of over 21 million people live on Lagos’ 3,577 km² land mass (22% of which comprises lagoons and creeks) causing significant strain on the city’s infrastructure and social fabric. The state’s ability to respond to adverse events and shocks in both good times and bad is threatened, absent an inclusive resilience strategy that addresses these stark inequalities and strains. 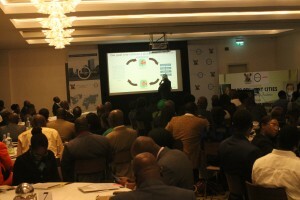 100RC aims to help Lagos State become more resilient through the provision of four major resources, which includes a Chief Resilience Officer (CRO), who will lead the city’s resilience efforts. The CRO will lead efforts to develop a resilience-building strategy or roadmap, over the course of six to nine months. Lagos State also stands to benefit from the inclusion in the 100RC Network, through which CROs can share best practices, solve problems collectively, and learn from each other and from other resilience experts.